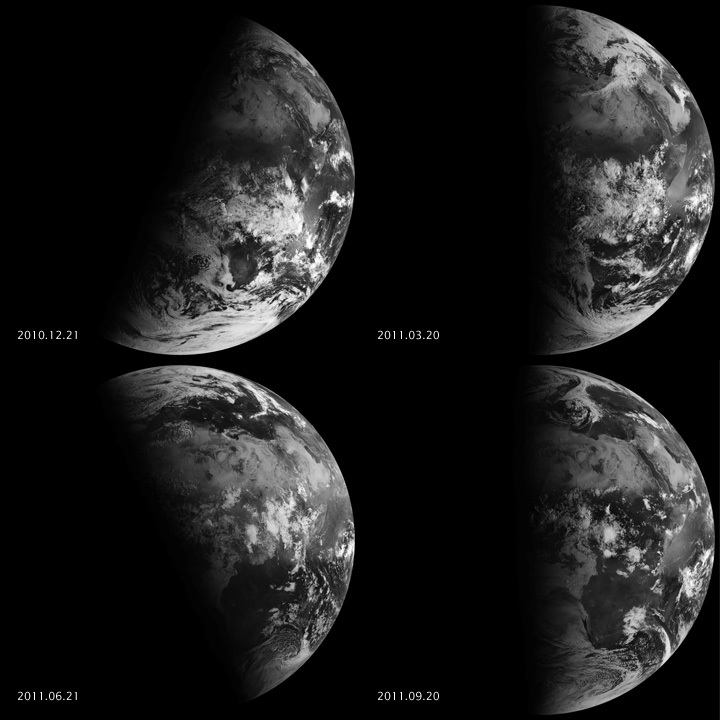 The Spinning Enhanced Visible and Infrared Imager (SEVIRI) on EUMETSAT's Meteosat-9 captured these four views of Earth from geosynchronous orbit. 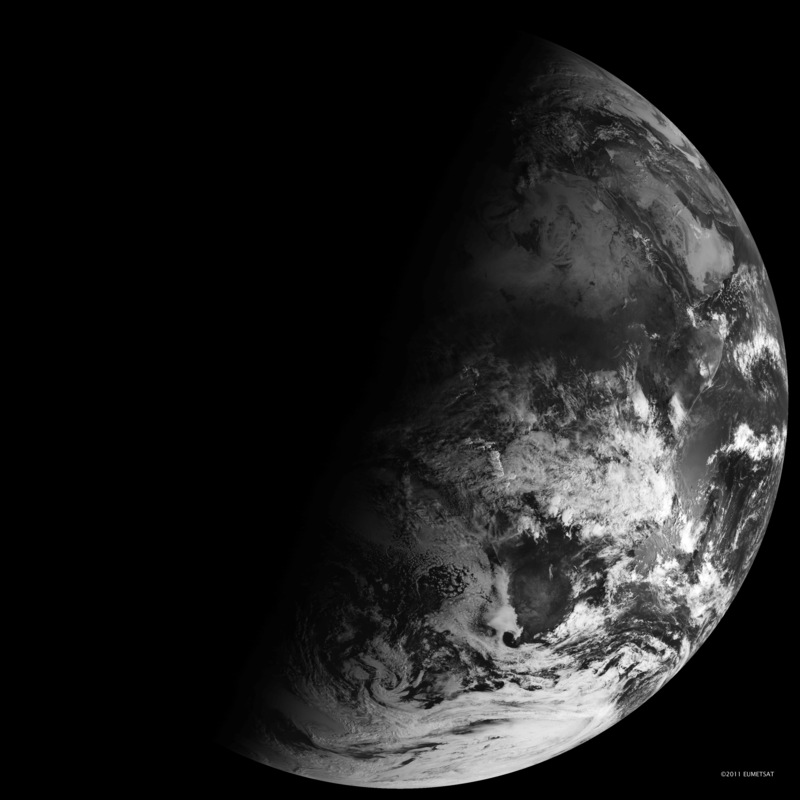 The images show how sunlight fell on the Earth on December 21, 2010 (upper left), and March 20 (upper right), June 21 (lower left), and September 20, 2011 (lower right). Each image was taken at 6:12 a.m. local time. 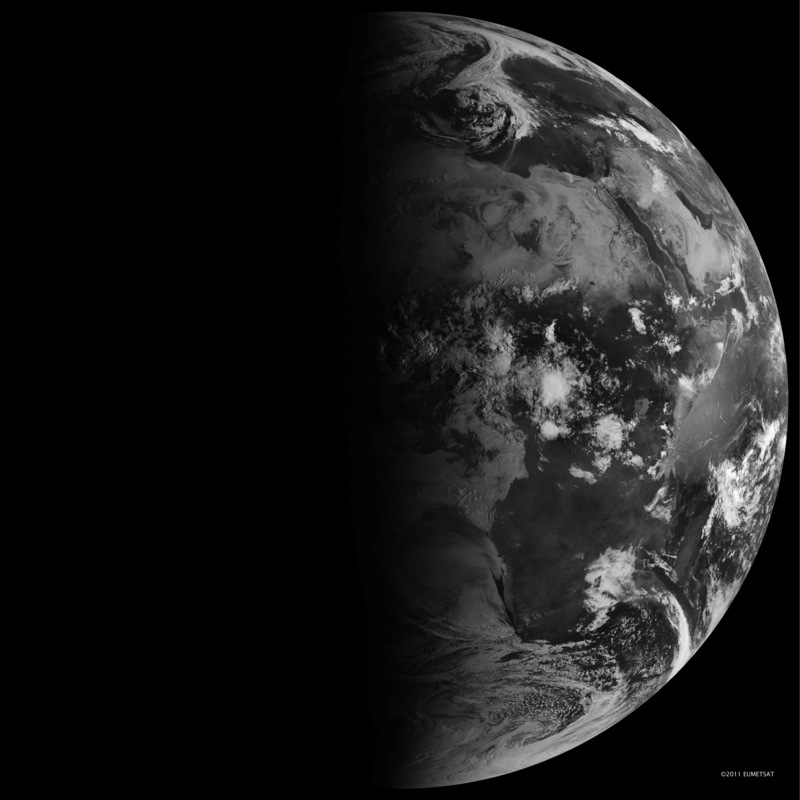 The equinox and changing of the seasons occurs on September 23, 2011 at 9:05 a.m. Universal Time. (Our September image above is a few days early.) 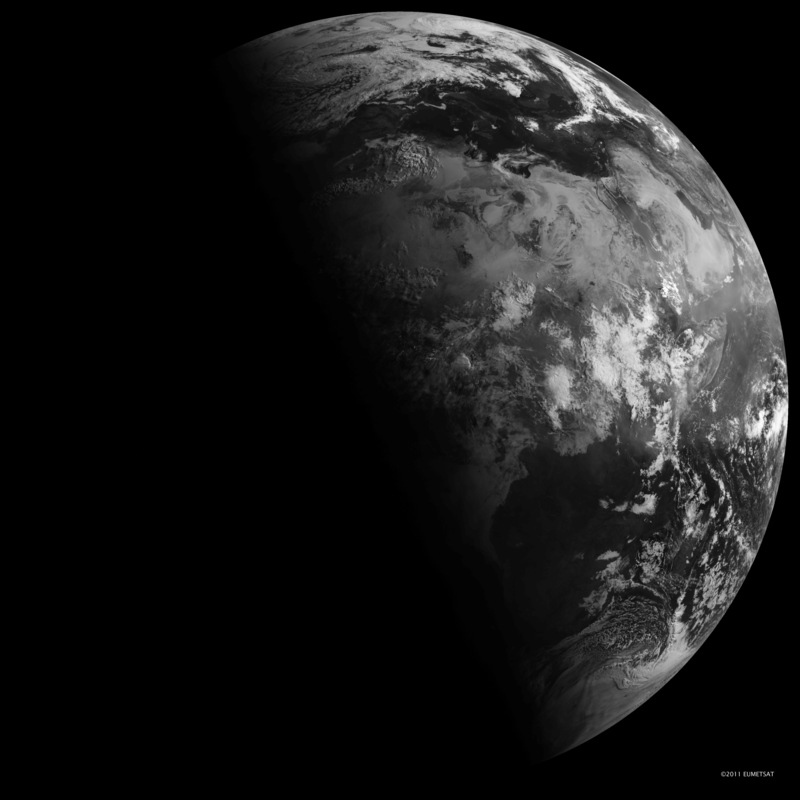 Equinox means "equal night" in Latin, capturing the idea that daytime and nighttime are equal lengths everywhere on the planet. That is true of the Sun's presence above the horizon, though it does not account for twilight, when the Sun's rays extend from beyond the horizon to illuminate our gas-filled atmosphere. 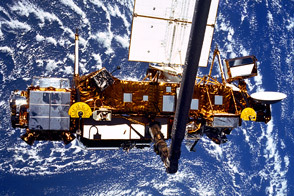 NASA images and animation by Robert Simmon, using data ©2010 EUMETSAT. Caption by Mike Carlowicz. 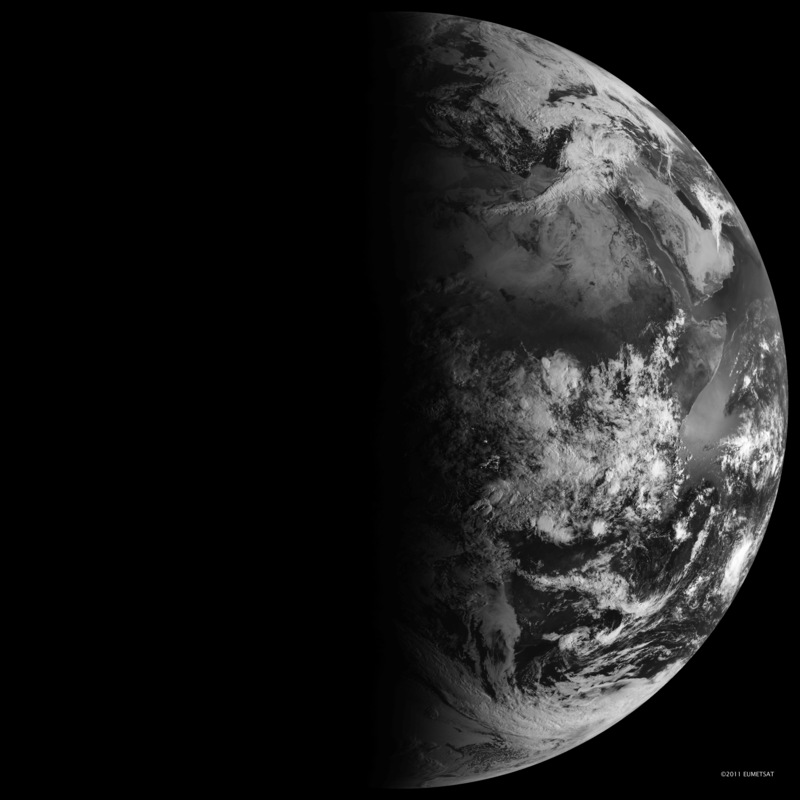 The four changes of the seasons, related to the position of sunlight on the planet, are captured in this view from Earth orbit. Stern, D. (2005) From Stargazers to Starships: Seasons of the Year. Accessed September 22, 2011. U.S. Naval Observatory Day and Night Across the Earth. Accessed September 22, 2011. U.S. 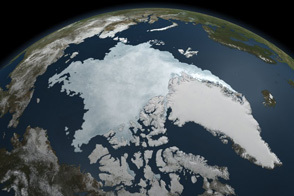 Naval Oceanographer Earth's Seasons. Accessed September 22, 2011.